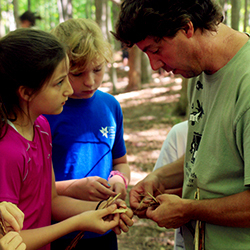 Delve Deeper into Nature at Voyager Camp! 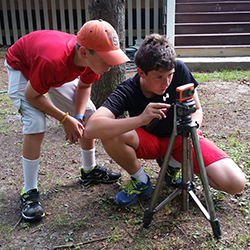 Baltimore Woods is offering special themed camp sessions for experienced campers looking to try something new or delve deeper into natural history and science concepts. Led by our experienced staff educators, these camps promise to be packed with fun and discovery. 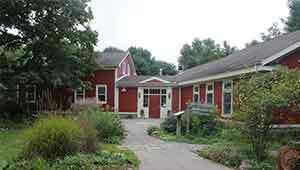 Camps meet daily from 10am-3pm, before and after care are available if needed. Sessions are limited to 11 campers per week and will be filled on a first-come, first-served basis. Ever wonder what you would do if you got lost in the woods? 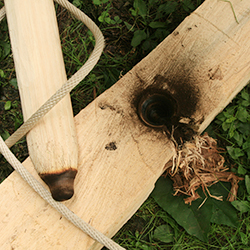 Wonder no longer – this week-long adventure will cover all the bases: fire building, survival kits, shelter building, and orienteering to name just a few. The first rule of wilderness survival is to stay positive – you can survive. We’ll teach you how. Get out your big hat and your adventure clothes! Spend an epic week following cryptic clues and tattered maps in search of lost artifacts. Use your mind and your body to pass physical challenges and solve puzzles as you journey through the dark depths of the Lost Woods. Do you have what it takes? Rumor has it that there are strange things living in Baltimore Woods…wonderfully weird plants and animals that defy imagination. This week we’ll investigate these strange rumors as we explore the ponds, streams, fields, and forests to find the most bizarre living things you’ve never heard of. Get ready to have your mind blown! Ever want to make your own nature videos? This is your chance! Learn all the ins and outs of making a nature documentary from filming and scripting to video editing and production. Each day we’ll put these skills to work as we hit the trails to capture nature in action while creating awesome nature documentary films. Ever wonder what you would do if you got lost in the woods? Wonder no longer – this weeklong adventure will cover all the bases: fire building, survival kits, shelter building, and orienteering to name just a few. 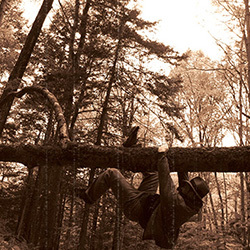 The first rule of wilderness survival is to stay positive – you can survive. We’ll teach you how. 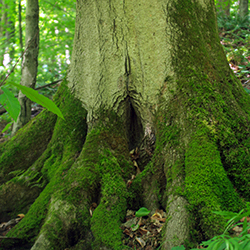 Have you ever heard that moss grows on the north side of trees? 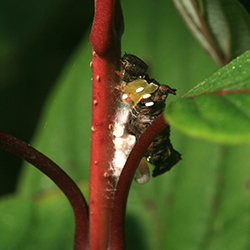 What about how daddy long legs are one of the most venomous creatures in the forest? True facts or long-lived myth? Join us for a week of Baltimore Woods Myth Busters using science and outdoors skills as we explore to find the truth of the wilderness! The camps will be led by skilled naturalists. Sessions are themed, and campers can attend multiple sessions. Camp will begin daily at 10am and end at 3pm. Before and after care are available, if needed. Early Registration – Register by April 30, 2019 and deduct $10 from the total camp registration fee. Multiple week and multiple child discounts ($5) are automatically applied when you register. Discounts apply beginning with the second child and/or the second week. You must have a Baltimore Woods Family Membership ($40) to attend camp, which can be obtained at the time of registration. The Interpretive Center is open M-F, 9-4 and Sat, 10-4. Closed Sundays and major holidays. Trails are open dawn to dusk every day with parking in upper or lower lots. .